Today I'm talking about my 2017 planner. 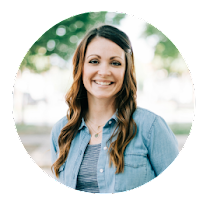 I'm also sharing tips on how to decide what planner is right for you! 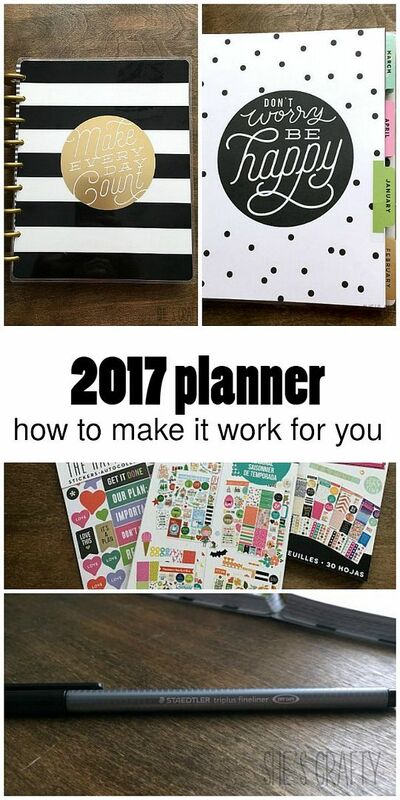 I've been using a planner for several years now. Every year, I change and try something new. I asked myself what I was looking for in a planner. 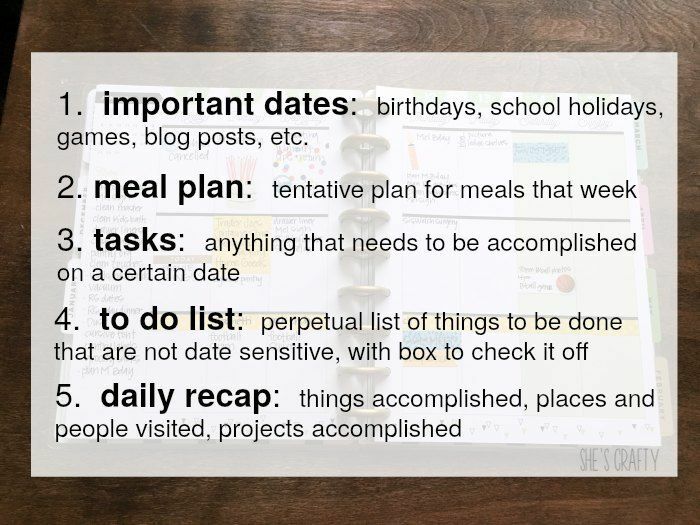 keep my to do list centralized and contained. I also wanted something cute! I wrote all of that down and took it to the store with me. 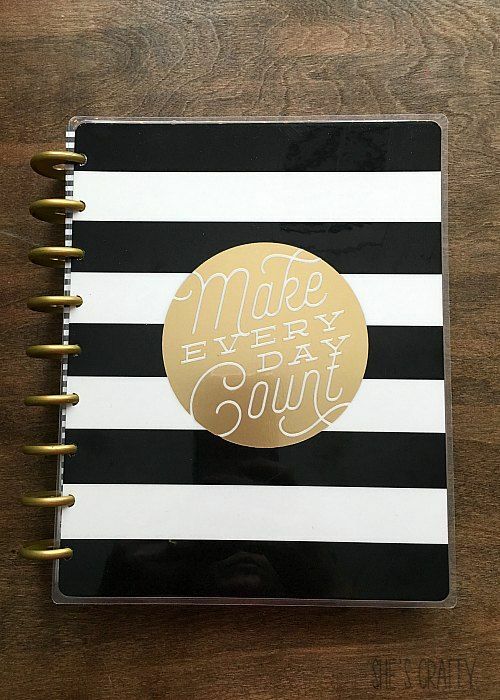 The Happy Planner by Me and My Big Ideas. (This post contains amazon affiliate links. for all of the things I was looking for. weekly meal plan on the tape with a slick writer. writing on slick surfaces, without smearing! has made a huge difference to my meal cooking. After meal planning I write important dates. 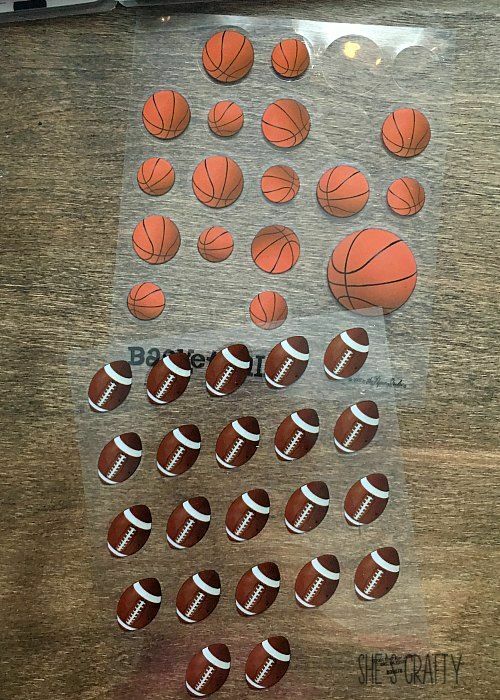 I use some stickers made for the planner. There are a variety of themes and colors. 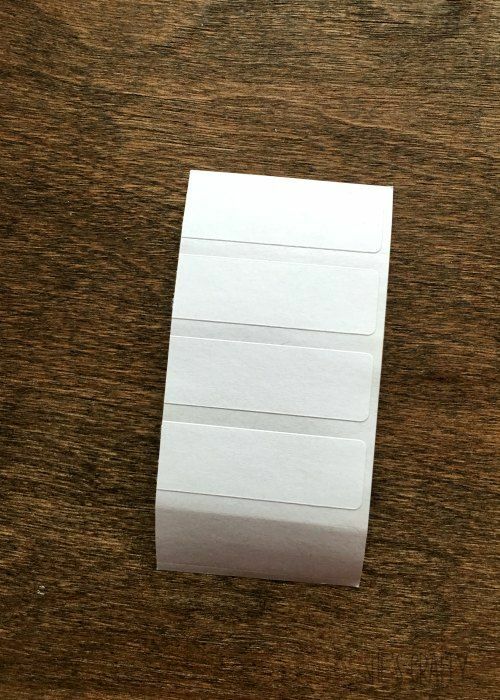 I also use a variety of labels from the office supply section. I cut them down to the size that fit my planner. 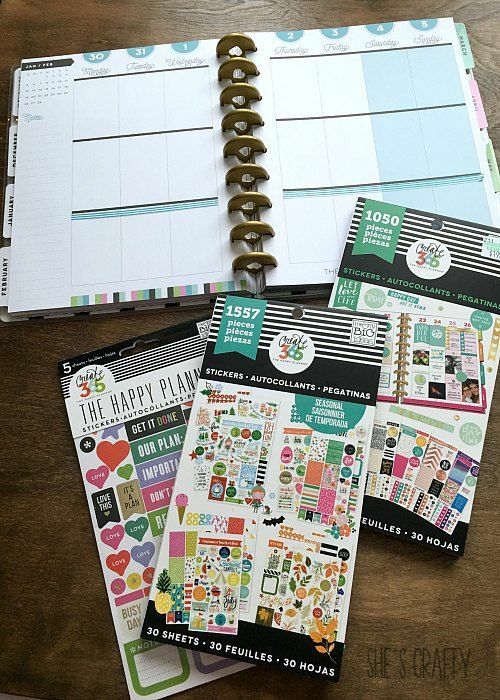 Planner supplies are very popular right now. 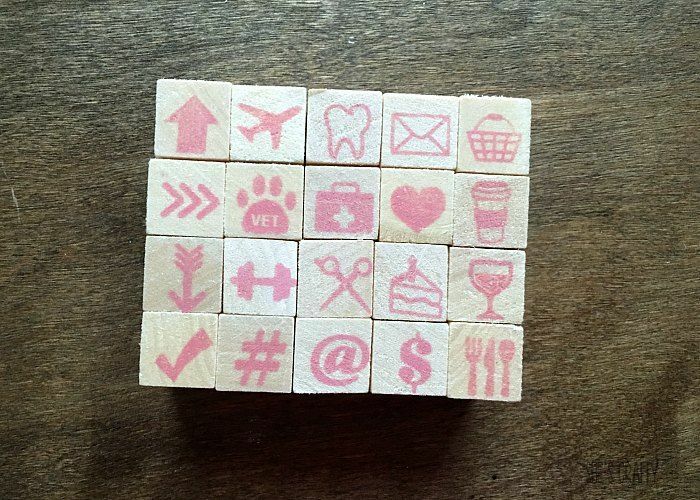 I found these cute stamps in the Target Dollar Spot. It's the perfect tip width for me! I love the way it writes. And I love the way it feels in my hand since it's triangular in shape. 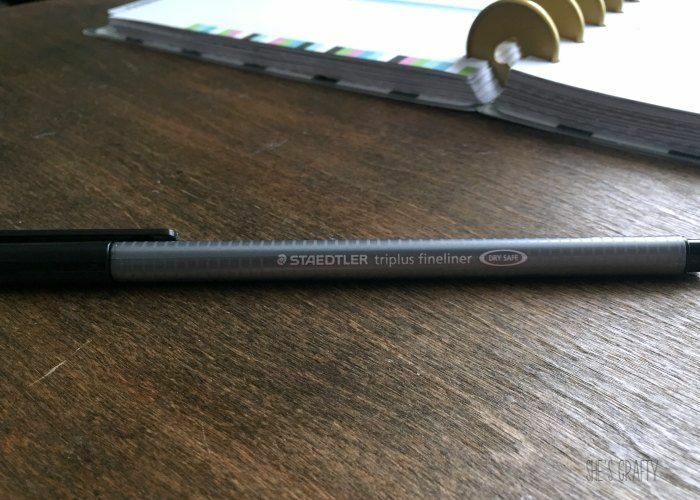 I produce consistent penmanship with these pens. 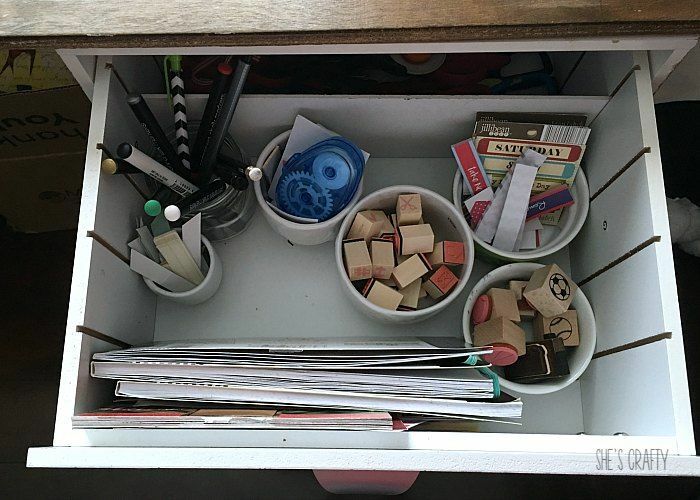 I keep all of my supplies on my top drawer of my craft desk. and a small jar to contain my pens and pencils. Here is what a typical week looks like in my planner. section of the weekly spread. That way I can refer back to it daily to complete the tasks. instead of rattling around in my brain! I also use this planner as a memory keeper. So at the end of the day, I try to record things about our day. For example: funny things my kids said, events we attended, games scores, etc. 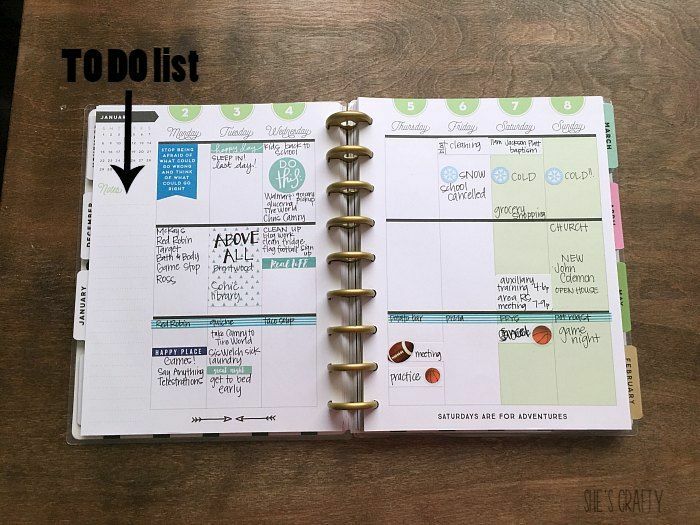 Here's my process for using a planner. this process is one that I am able to consistently keep up with it. 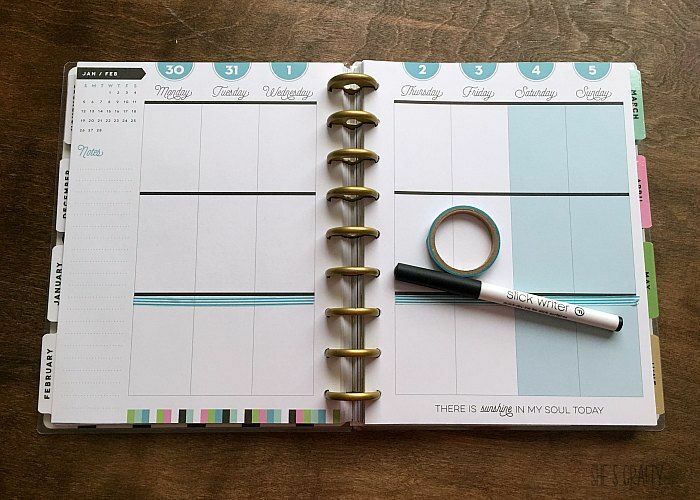 Do you have other things you do in your planner?